The Pilot-in-Command of all rental flights must make an entry in the journey log. The Pilot-in-Command of all rental flights beyond 25 nautical miles will file a flight plan. A check out is required by all pilots prior to being authorized to rent company aircraft. The check out may consist of one or more flights as required and at the discretion of the flight instructor until the rental pilot is deemed safe and competent. Rental pilots are prohibited from flying company aircraft in mountainous areas without first receiving a mountain checkout from Sealand Flight. Company aircraft are prohibited in mountainous areas after dark. 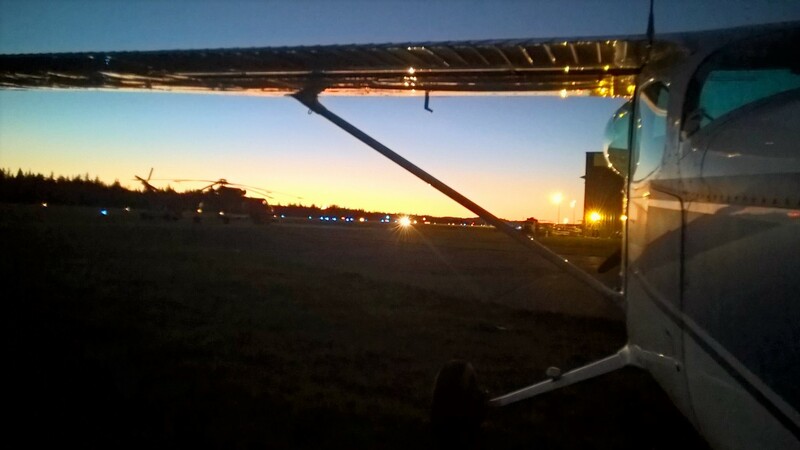 Rental pilots are prohibited from flying company aircraft at night without first receiving a night checkout from Sealand Flight. A Rental pilot must fly company aircraft once every 60 days to maintain currency. Pilots that have not flown company aircraft for more than 60 days but less than 180 days will be required to complete a circuit check flight. Pilots that have not flown company aircraft for more than 180 days but less than 365 days will be required to complete an abbreviated check flight. Pilots that have not flown company aircraft for more than 12 months will be required to complete a full check out. Rental Pilots are expected to fly 50% of time booked up to a maximum of 3 hours each day. Rental Pilots renting aircraft for extended rentals are expected to fly a minimum of 4 hours daily. A $35 per hour not flown standby charge will apply in the case of pilots returning aircraft with less than the required time. Pilot-in-Command agrees to pay for all damages incurred by circumstances which render the insurance on the aircraft void, or caused while in breach of air regulations, or caused by violating the terms and conditions of the Certificate of Airworthiness. The Pilot-in-Command agrees to pay for damage to the aircraft not covered by the insurance such as damage to interiors and, through neglect such as not tying down cargo. Only the named pilot authorized on the operations log will fly or have charge of the aircraft while it is in their possession. Pilot-in-Command agrees to land at licensed airports only, unless otherwise authorized. Pilot-in-Command is responsible for all damages caused by an unauthorized landing. Rental pilots fueling aircraft at other airports must submit fuel receipts for credit and will be reimbursed at the current Campbell River Airport fuel rate.